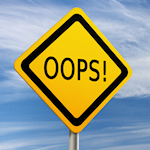 You think you’re saving a few bucks with cheap hosting but in reality it can be VERY RISKY. The savings does NOT outweigh the RISK. Cheap hosting is often associated with hosting servers that have performance problems or security issues (i.e. hacks). 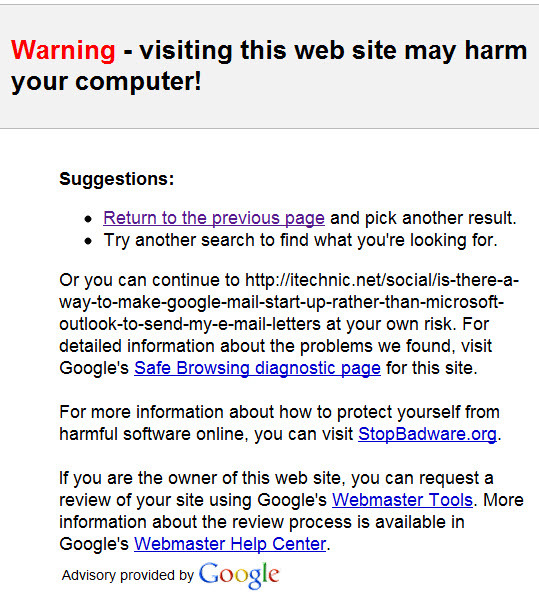 Hackers find their way in some back way, plant some malware on your domain, and the next thing you know Google is warning people that your website is dangerous (see below). I’d guess they are also going to remove your listing from their Google results at some point, that only makes sense. Google is that way… sort of like a super-hero (or Big Brother, depending on how you look at it), looking out for the common man online! For years I’ve warned business owners and managers to stay away from cheap hosting. Quality, high-performance and SECURE hosting from a reliable hosting company is where you should put your website or blog. Any place else is simply not very smart. Here is a warning I came across earlier today. Needless to say, I hit my browser’s back button and was off looking for something else.